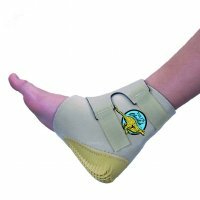 At last, shock absorption and ankle support in one lightweight unit. Cheetahs are a dynamic and revolutionary new combination of shock absorption and lightweight neoprene support. Cheetahs are ideal for athletes, gymnasts, or anyone who works or plays on their feet. Universal size will fit most adults.